And here we are, somehow at the last weekend of March! This is a busy season for the both of us, with major changes happening on Rikki’s property, and with me moving to a new home next weekend! This weekend we are both embracing the spring weather, tackling projects, packing, and of course trying to polish off those last March reads. What are you doing this weekend? As we start planning some spring literary dinner parties, these tips for hosting in a small space are welcome ones, and honestly applicable to any size. If you love audiobooks, we spy some favorites on this list of celebrity memoirs that are read by their authors. Excited for spring releases? Sarah, as always, does a great job rounding up some to look forward to! Getting a peek into indie bookstores in other cities is one of my most favorite things. Have you been to Warwick’s??? Any other 10 Things I Hate About You lovers? Here are ten books that will give you the same vibes, and I can vouch for at least three of them! These are some of the coolest Harry Potter tattoos we’ve ever seen. Too bad I’m terrified of needles! Yadi has such a great lifestyle vibe and such a cohesive vibe. 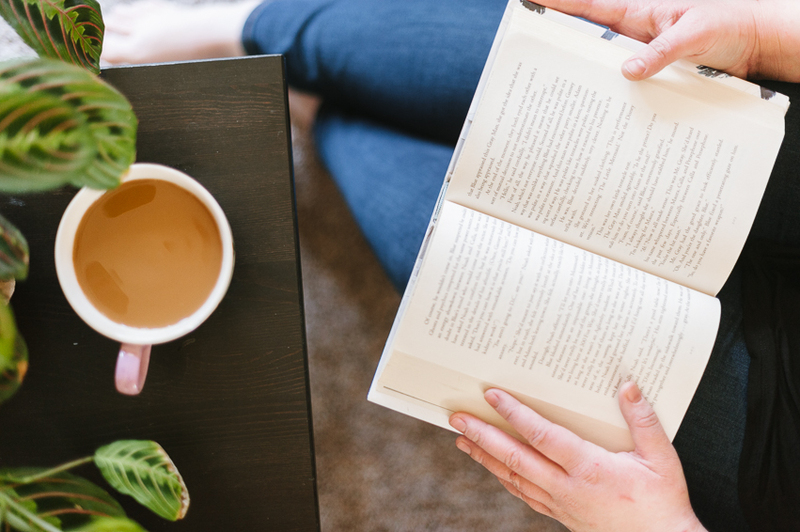 Need cozy reading shots and great book recommendations beyond just current bestsellers? Paris has you covered. Bright, fun photos and solid reviews right this way. Michaela - I just finished off several books, and am starting in on Gingerbread! I’m also still reading Middlemarch in the background, but that’s been slow going for me honestly. Rikki - I recently finished Clock Dance by Anne Tyler and am trying to decide what to pick up next. And, Middlemarch also of course.